Sophisticated beauty, natural yellow coloured diamond drop earrings, a total combined diamond weight of 4.97carats. Radiant beams of yellow lighting up the room, true elegance. SKU: 140-00088 Categories: Diamond Earrings, Earrings. 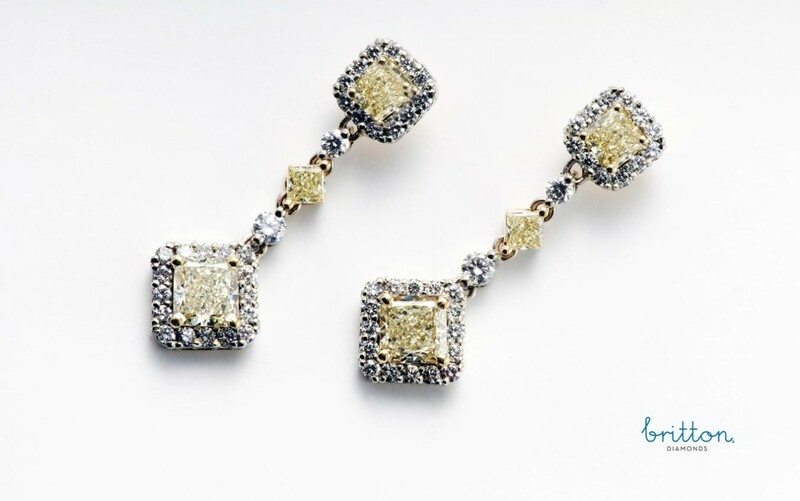 Tag: Fancy Yellow Diamond Drop Earrings.